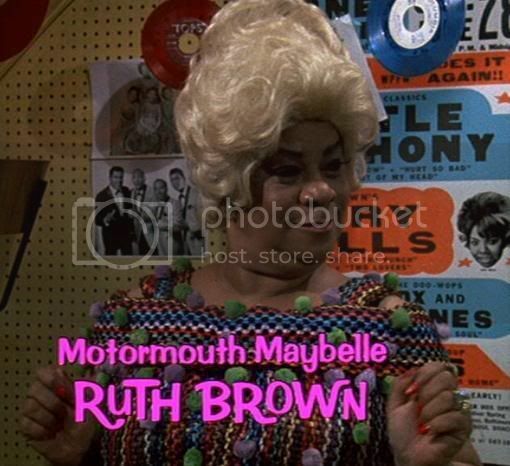 Alright, you know me by now… When I get on a kick, I turn into Motormouth Maybelle. I can’t stop talking about stuff I’m loving, and this week’s recipe has been an obsession for some time. One Saturday morning a few years ago, I stumbled into the St John Bakery near Maltby Street in London, and got one of Justin Gellatly’s cream-filled doughnuts, still warm, filled with lemon curd. Last spring, food maven and doughnut connoisseur, Nicole Taylor, tried to give me the inside track to the best doughnuts in New York, to no avail. None of them could stand up to Justin’s. They paled in comparison so much so, I actually took a few bites and threw those New York doughnuts that everyone swears by in the trash! And even though I am from the South, where doughnuts reign supreme, I admit you haven’t had a doughnut until you’ve had one of Justin’s doughnuts. About Justin: Baking has always been a part of Justin Gellatly’s life, though it was only when he joined Fergus Henderson at St John Restaurant in London that he really fell in love with baking. He found his calling in pastry and baking in the first few months, and over the thirteen years he worked there, his proudest moment was when St John received its first Michelin star when he was head baker and pastry chef. Last September, after leaving St John, Justin, his lovely wife Louise (who he met twenty-four years ago in catering school) and fellow baker, Matt Jones opened Bread Ahead bakery in London’s Borough Market, where you can watch them work their magic through giant windows all day long. See how to make the best doughnuts ever after the jump! As in my bread recipes, I always weigh the water when I’m making doughnuts; it’s a lot more accurate than using a measuring jug. I would recommend using a deep-fat fryer, which is a lot safer than a pan of hot oil. Either way, PLEASE be careful when using hot oil – I have had many burns and it’s really not very nice. You will also need an electric mixer such as a KitchenAid, and if you don’t have a deep-fat fryer (which will have a thermometer incorporated) you will need a good digital thermometer to check that the oil is at the right temperature. You can try out your own fillings by using the recipe for crème patissière and just folding in your additional filling of choice, but I am not a fan of the savoury doughnuts that are popping up in a few places. Put all the dough ingredients apart from the butter into the bowl of an electric mixer with a beater attachment and mix on a medium speed for 8 minutes, or until the dough starts coming away from the sides and forms a ball. Turn off the mixer and let the dough rest for 1 minute. Take care that your mixer doesn’t overheat – it needs to rest as well as the dough! Start the mixer up again on a medium speed and slowly add the butter to the dough – about 25g at a time. Once it is all incorporated, mix on high speed for 5 minutes, until the dough is glossy, smooth and very elastic when pulled, then cover the bowl with cling film and leave to prove until it has doubled in size. Knock back the dough, then re-cover the bowl and put into the fridge to chill overnight. The next day, take the dough out of the fridge and cut it into 50g pieces (you should get about 20). Roll them into smooth, taut, tight buns and place them on a floured baking tray, leaving plenty of room between them as you don’t want them to stick together while they prove. Cover lightly with cling film and leave for about 4 hours, or until about doubled in size. Get your deep-fat fryer ready, or get a heavy-based saucepan and fill it up to the halfway point with sunflower oil (please be extremely careful, as hot oil is very dangerous). Heat the oil to 180°C/360°F. When the oil is heated to the correct temperature, carefully remove the doughnuts from the tray by sliding a floured pastry scraper underneath them, taking care not to deflate them, and put them into the oil. Do not overcrowd the fryer – do 2–3 per batch, depending on the size of your pan. Fry for 2 minutes on each side until golden brown – they puff up and float, so you may need to gently push them down after about a minute to help them color evenly. Remove from the fryer and place on kitchen paper, then toss them in a bowl of caster sugar while still warm. Repeat until all are fried, BUT make sure the oil temperature is correct every time before you fry – if it is too high they will color too quickly and burn, and will be raw in the middle, and if it is too low the oil will be absorbed into the doughnut and it will become greasy. Set aside to cool before filling. To fill the doughnuts, make a hole in the crease of each one (anywhere around the white line between the fried top and bottom). Fill a piping bag with your desired filling and pipe into the doughnut until swollen with pride. Roughly 20–50g is the optimum quantity, depending on the filling; cream will be less, because it is more aerated. You can fit in more than this, but it doesn’t give such a good balance of dough to filling. Pass through a fine sieve, discarding the vanilla, and place a sheet of cling film on the surface of the custard to prevent a skin forming. Leave to cool, then refrigerate. Why Justin loves these doughnuts: A baker’s life isn’t all bread. I started making my doughnuts in 2003 when St John Bread & Wine opened, but I had teething issues with getting the recipe right, from the sweetness of the dough to the length of the proving and cooking times, and even the yeast amounts. Yes, we did have exploding doughnuts. After many trials, I got there, and I think they are perfect. I’ve made them for a prestigious lunch for the world’s fifty best restaurants and I even took my fryer to Glastonbury in 2013 where I rocked at the Beat Hotel, frying doughnuts until the early morning, and launched my violet custard doughnut with sugared violets and Parma violet sprinkle. I normally keep the fillings quite classic – custard, jam, lemon curd and apple cinnamon. But I have been developing new flavours for this book, like my most fought-over one, the caramel custard with salted honeycomb sprinkle (pictured in the intro), which has become a bit of a signature for me. The beautiful, natural colors of all the fillings are just divine. Incredible work, Justin! Thanks for sharing the recipe as well. Cheers! Thanks! I will to try to cook them. I’m just wondering how many hours you left the doughnuts prove for ‘overnight’, did you wait the 24hrs or would making the dough at night snd rolling the next morning be ok? Can you tell how u would make them if I wanted ring doughnuts..would I just make a whole in the middle once i have formed them into balls?